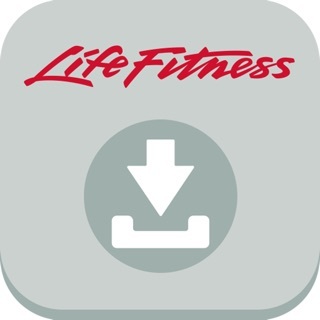 Life Fitness connects the world to fitness through the easy-to-use LFconnect exerciser app. 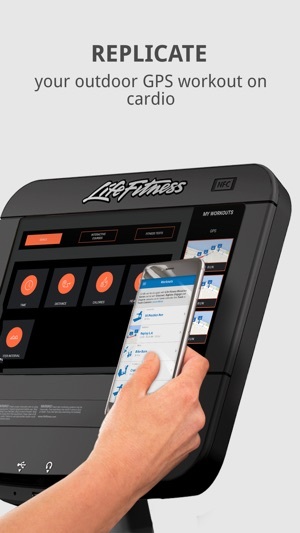 The largest manufacturer of fitness equipment now allows you to take control of your workouts anywhere on any equipment with the LFconnect app. If you log into our consoles, you’ll find even more added features when interacting with the equipment. 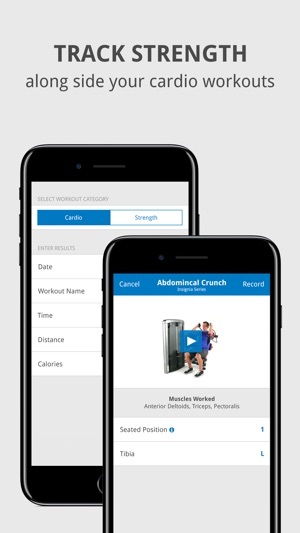 -Create Workout - Create and save your own strength and cardio workouts. Saved cardio workouts can be re-selected on any Discover console worldwide. 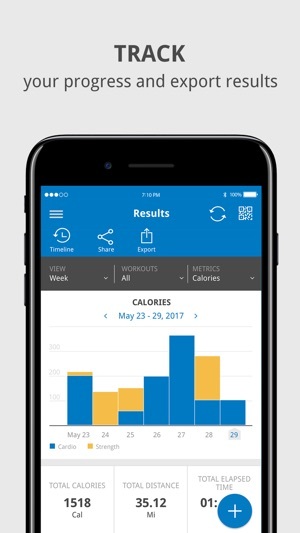 -Track Your Workout – View the progress of your workouts with detailed data reports by year, month, day or in real time. You can also export your results to Excel or other media for tracking. You can also export specific workouts to your calendar. 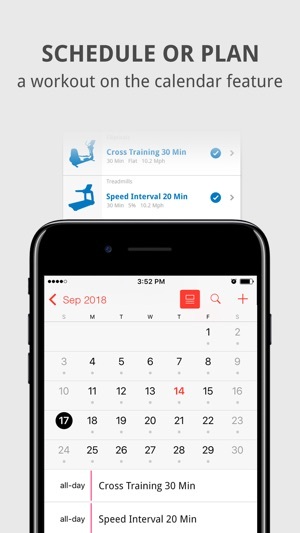 -Schedule Workout - Schedule your workouts in app and scan to find your saved workouts under the Workouts tab. Keep track of your progress and tier your results by making use of scheduled workouts. -Replicate Your Workout – Recreate the terrain of an outdoor workout using GPS. Save it as a GPS workout. Walk, run or bike your saved GPS workout to have our equipment increase/decrease incline or resistance automatically to match the terrain. 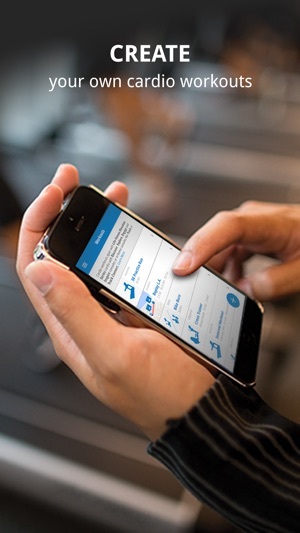 -Strength Tracking – Scan the QR code of any Life Fitness equipment or use our easy input manual strength tracking. Select and track your sets, reps and weight. Take detailed notes and attach them to your workouts for even better tracking. I use this app to sign into Anytime Fitness treadmills. 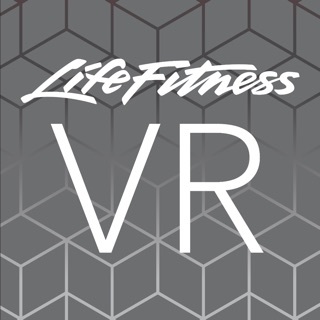 For years it worked and would my workouts would be posted to the app right after I finished. Then it stopped once the website went away. I can still login with it no problem but my workouts were no longer being saved. I had given up and relegated the app to just being for easy sign in but with the last update one day I saw one of my workouts get posted when I finished. Relief, I hadn’t realized how much I missed this. It worked for a few days last week then it stopped. It would have been better had it not started to work again but now I’m very annoyed by seeing my workout data disappear once again into the ether. Please help. Is there anything I can do to get it working again, I balk at the idea of creating a new account and losing my old data but I’d do that if I were confident doing that would fix the problem. At least this time I saw on the treadmill for the first time ever a message saying error saving data or something to that effect. After that I no longer see any messages and nothing gets posted. I use different treadmills in various Anytime Fitness gyms and it’s always the same, I can sign in but my workouts don’t get posted. I’ve just read a number of poor reviews, and I have to counter with my own personal experience. I’ve been using the app now for almost four months, and while there’ve been a couple of hiccups, I’ve had no problem maintaining my workouts, retaining info, etc. Every now and then the results numbers and the weekly goal numbers don’t match up, but if the page/screen is refreshed it syncs back up. I live in Japan and like to use the app in English mode; once in awhile the exercise machine itself won’t register in English, but the app works fine. Overalls, if you’re just looking for a simple way to track workouts, it’s a helpful tool. Erased my Sunday and Monday for this week when I logged my first workout for Wednesday. So , crashing and erasing data all the time now. Great. Now Crashing every time I make an entry. Neither Proximity nor QR log in are working either. Then the update .. it erased my data. I was 4 days in this week alone and now I have nothing to go on. I don’t write this all down since the app is supposed to be my tool. Will it erase again..? I don’t know, trust is shaken a bit. Now I’ll have to take pictures when I’m done with a day to keep track. It’s an easy log in but if you aren’t sure you’re going to erase people’s information then don’t touch stuff. I like the screens less than before too. I don’t like the graph .. I just liked how it was , nothing was broken it needed no fixing.